IDEMS is hosted and operated by Esri, lead by myself and Dr Jianbin Duan (Deputy Director). 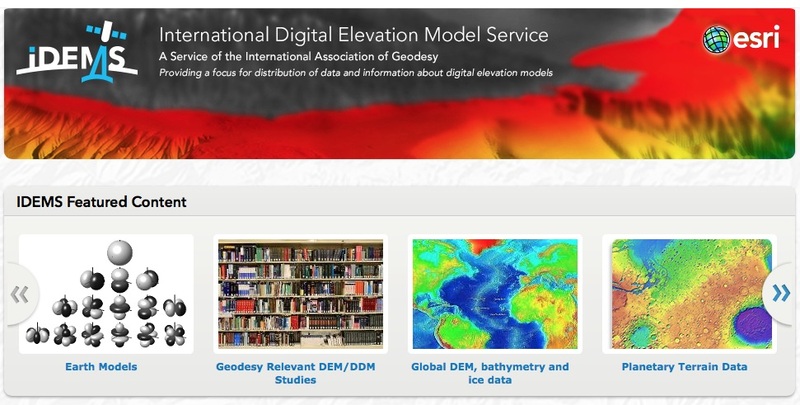 The new IDEMS website is available at: https://idems.maps.arcgis.com/home/index.html. IDEMS encourages contributions to the site from the geodetic community in any of the five product types listed above. Please contact either of us if you would like to contribute or recommend content you think appropriate for IDEMS.